Check out the progress on their new facility! 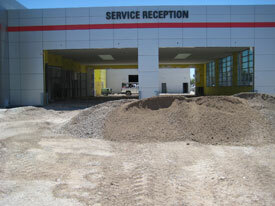 Expanded service department to get you in and out and on the road faster! We'll have more service bays, service adivisors, and service lanes! Larger display area for vehicles. We'll have more models and more selection available to you! New and improved Cafe with more offerings including beverages, food, and snacks. 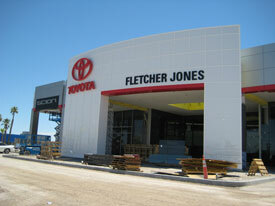 Exciting, new parts boutique with a greater selection of accessories for every Toyota model. Not looking for a new vehicle? Head on over to our remodeled pre-owned facility next door with one of the largest selections in the Las Vegas valley. Larger, more comfortable waiting area.